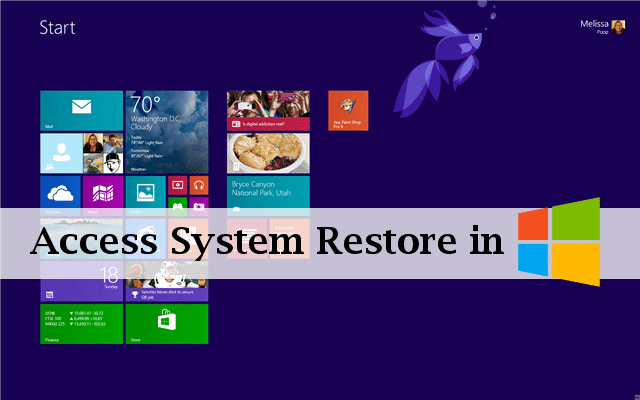 Windows 8.1 hid the way users could access system restore. One reason for this was that they didn’t want users accidentally creating a system restore images on a preview release; the other was to force users when the preview goes live in October 2013 to use other recovery options within Windows 8.1. In this guide, we show you how to access system restore in Windows 8.1. System restore wasn’t the only thing “shut off” in Windows 8.1. Windows 8 Backup was also removed in its entirety because it’s considered old school by Microsoft. There are much better tools for recovering, refreshing or restoring your system than Windows 8 Backup ever could’ve been operating on Windows 7 functionality. Please Note: Do not attempt to use system restore in Windows 8.1 if you are using the Pro Preview version. Wait until the final release in October 2013 to use system restore in Windows 8.1, otherwise, you may have issues trying to restore your system after the release. System restores images in Windows 8.1 take a snapshot of your PC as is. This includes all files, system structure, drivers, apps, programs and more. These can be beneficial for Windows 8.1 users because it’s easy to restore your system to the way you’re used to using it before some major issue messes up your PC. This is exceptionally useful because it allows you to re-roll your system back to a previous state before any major updates, installs or changes. If something goes wrong during any of those processes, the system restore point allows you to eliminate the issue by narrowing down where it started. 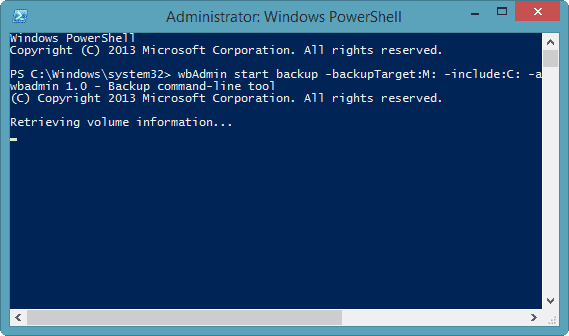 In Windows 8.1, you can use PowerShell as an Administrator to gain access to creating and recovering system restore images. Remember how we showed you how to create custom recovery images in Windows 8? It’s a similar idea and easy to do with our guide below. Right-click the Start Button or use the “Windows Key + X” shortcut to open the Win + X Menu. 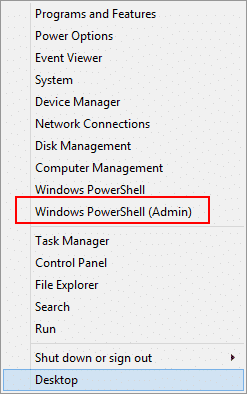 Click “Windows PowerShell (Admin)” to continue. You must be logged into your Administrator account for this to work on your Windows 8.1 PC. Of course, you’ll want to change the drive letter if necessary based on your system setup. You’ll also need to change the “backupTarget” to wherever you’ll be creating the system restore an image, such as a USB drive, removable media or partition on your PC. We do recommend against the latter, because if your PC runs into trouble, you may not be able to access the partition to restore your computer. It’s important that no matter where you store your system restore is, it’s in a secure location on your PC or removable media. If you ever lose access to your PC’s primary drive or partition, you may not be able to use the restore point at all. Again, change the drive letters as you see fit along with the backupTarget. The same rules apply as the previous command. This’ll take anywhere from ten minutes to upwards of an hour to complete depending upon the number of drives you selected. 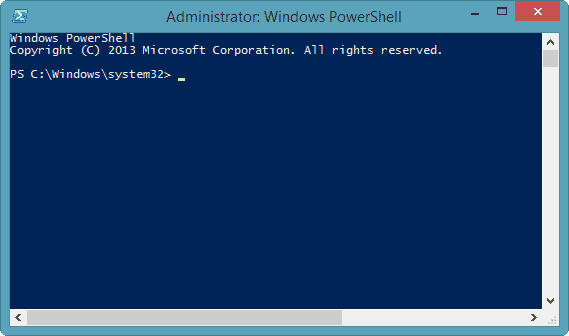 Once finished, PowerShell will alert you with a message. From here, you’ll import the system recovery image you’ve created the same way you did in Windows 8 with our guide here. It’s important to note that this method will perform a system restore an image of your system in its current state. Our guide to custom recovery images also works in Windows 8.1, so you can pick either of these methods and choose how you want to save your system restore images. If you rely on system restore images only as a means of backup for your Windows 8 machine, we urge you to take advantage of more than one method for recovering your system. While Microsoft has made no official announcement of removing this feature for users, there’s no telling what the future of Windows 8 will be. Windows 8.1 has already proven to change some fundamental parts of the OS, the future could be even more evolved for Windows 8. If you opt to use system restore in Windows 8.1’s preview, make sure you clear all system restore points after the final release is released to the public. Otherwise, you may inadvertently restore your system to a point on the preview as opposed to a final release restore point. This can cause issues with your PC that you won’t be able to recover from without reinstalling Windows 8 from scratch. Windows 8.1 is slowly eliminating obsolete options for Windows 8, including system restore. While it’s not gone entirely, letting users still import system restore images created in the past, eventually it looks like Microsoft will stop users from using this feature in its entirety, too, like the Windows 8 Backup utility. For the mean time, you can use this guide to work with the system restore images in Windows 8.1 until Microsoft makes a decision one way or another to make it easier on users. Please Note: The Windows 8.1 Pro Preview is meant for users to test features before it goes live. Creating a system restore an image of preview software can be hazardous to your system should you need to restore it after it goes live. We recommend not using the system restore in 8.1 until you upgrade in October 2013.